How to tie the Dropper Loop Knot. Using a dropper loop is a method of attaching additional flies, baits or jigs to a single fishing line. If the loop is tied particularly large, one side of the loop can be cut where it exits the knot leaving a single strand line, upon which baits can be tied directly. The Dropper Loop Knot is one of 12 great fishing knots included on the Pro-Knot Fishing Knot Cards (click to see). 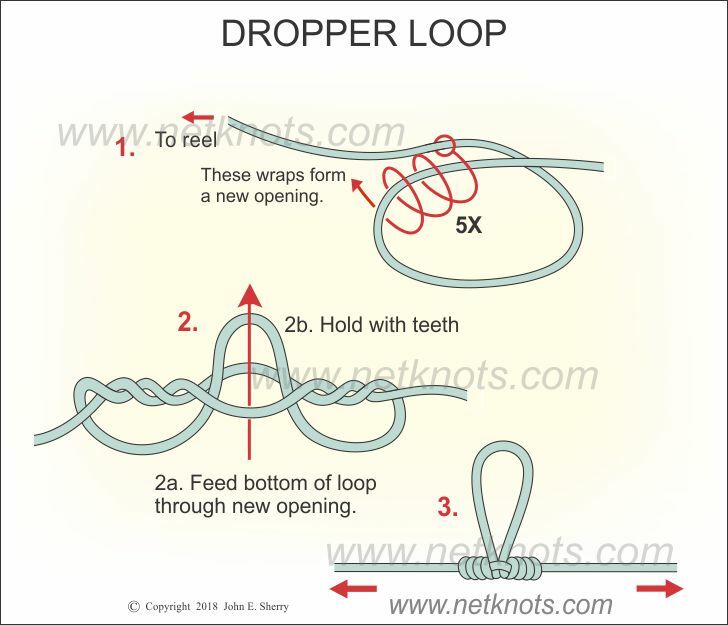 Scroll to see Animated Dropper Loop Knot below the illustration and tying instructions.